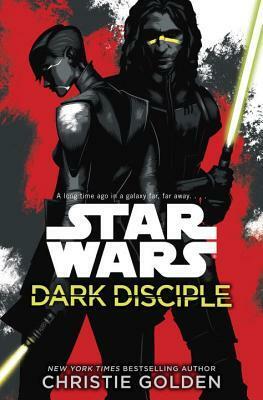 When I saw a book that was mostly centered around Asajj Ventress, I was super excited. And yet, I couldn’t help but be a little worried as well, since so far, most of the book int he new canon series have disappointed me. I wanted to read it right away, however, at that time, I hadn’t see all of The Clone Wars series, and since this story arc was intended as part of that series, I knew I had to delay reading this book until I had watched the series. So it wasn’t until the beginning of this year that I finally got around to reading this one. It took me a chapter or two to get into this book, but after that, I really started to enjoy it. That being said, there were also some issues I found along the way. But let’s talk about the positives first. Asajj was one of my favorite characters in The Clone Wars, and it was so good to get more of her story. I felt like she was left out a bit too much and thus I was always wanting more episodes with her. This book was a great way to put her into the spotlight, giving us more about her past as well as filling in her story after she left Dooku. The story had good flow to it. Keeping action coming at regular intervals to keep things hopping but not overwhelming the plot. The romance aspect of this book was interesting, but I feel like it was added in just because it could be. Sure, Vos is a very atypical Jedi and doesn’t always follow the rules, but falling in love with Ventress didn’t feel necessary to me. Despite this, I did enjoy seeing their relationship develop along the way. Now, let’s talk about what I didn’t like. First off, Ventress has hair. This may not seem like a big deal to some people, but it was to me. As soon as I read that little bit, I was immediately annoyed. In fact, I put the book down and hurried over to Wookieepedia to look up the Rattataki race. Listed right there on the page, it stated that one of the distinguishing features of this species was a bald head. So how and why does Asajj have hair in this book? My guess is that they were trying to give her a more feminine and softer looking character, but I just couldn’t accept that she had hair. Secondly, the Jedi council would never put forth the idea to assassinate someone, even Dooku, let alone agree to it. Sure, some Jedi aren’t sticklers for the rules, but no way Yoda would agree to such a thing. I don’t care how desperate they were to end the clone wars, it just wouldn’t fly. Ignoring these issues, I still greatly enjoyed the book. The new canon series has been extremely iffy with me, so it’s nice to find a book in it that I actually liked. I would certainly recommend watching The Clone Wars series before reading this book, but it’s not absolutely necessary. This entry was posted in Books, Science Fiction, Star Wars and tagged Book Review, Books, Science Fiction, Star Wars. Bookmark the permalink.